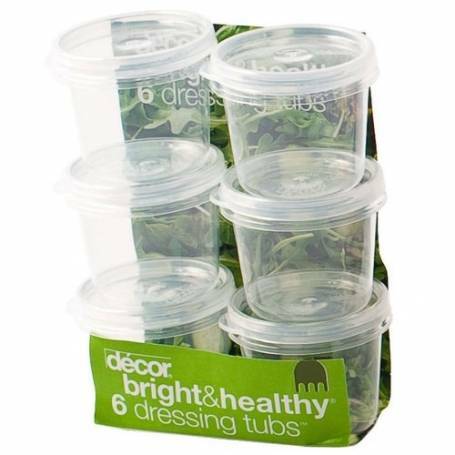 The Decor Dressing Tubs allow you to keep salad dressings separate until you are ready to eat. They fit in any lunchbox and are also useful for sauces, butter, pickles and jam. Also handy for storing small items used for crafts, hobbies, DIY and also as pill boxes.